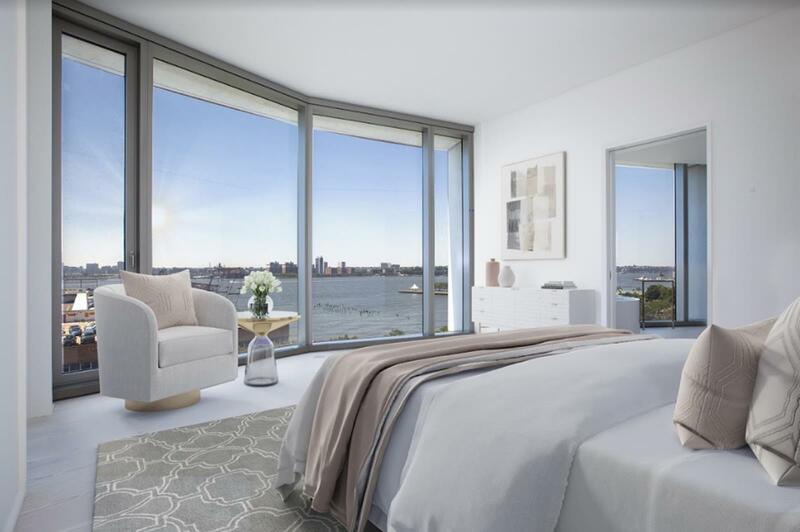 BE THE FIRST TO RENT ONE OF THE PREMIER CORNER UNITS IN THE MOST HIGHLY ANTICIPATED WATERFRONT PROJECT IN THE WEST VILLAGE! DEDICATED PARKING SPACE, PRIVATE STORAGE & MOTORIZED SHADES INCLUDED! 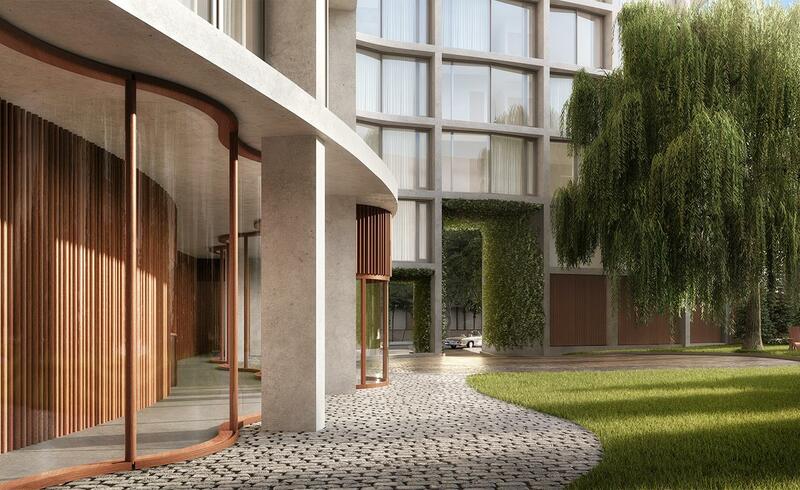 Conceptualized by Ian Schrager and designed by Herzog & de Meuron, Residence S9B at 160 Leroy Street in the West Village, features 11' ceilings and sweeping, iconic views of the Hudson River, City Skyline, and Statue of Liberty in this extraordinary 2,351 SF, 3-Bedroom and 3.5-Bath residence. 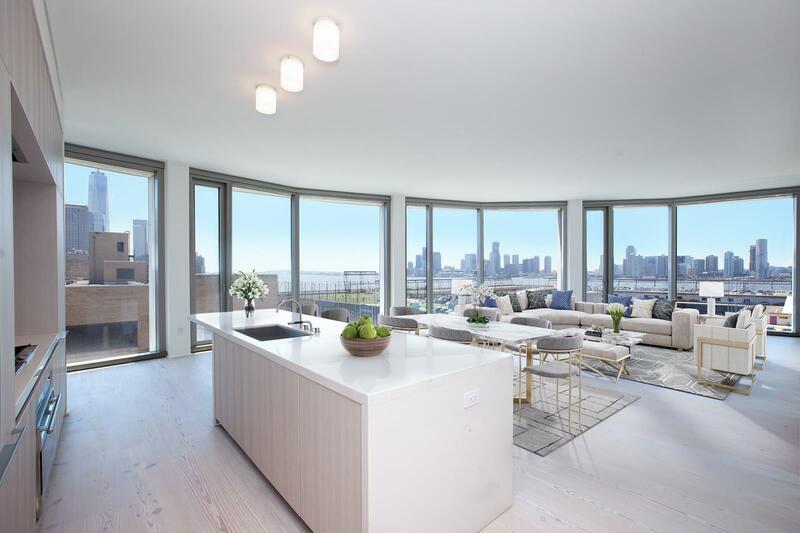 Masterfully designed for the modern lifestyle, the residence's open floor plan accommodates gracious living and entertaining, while maximizing light and offering an abundance of wall space for art. 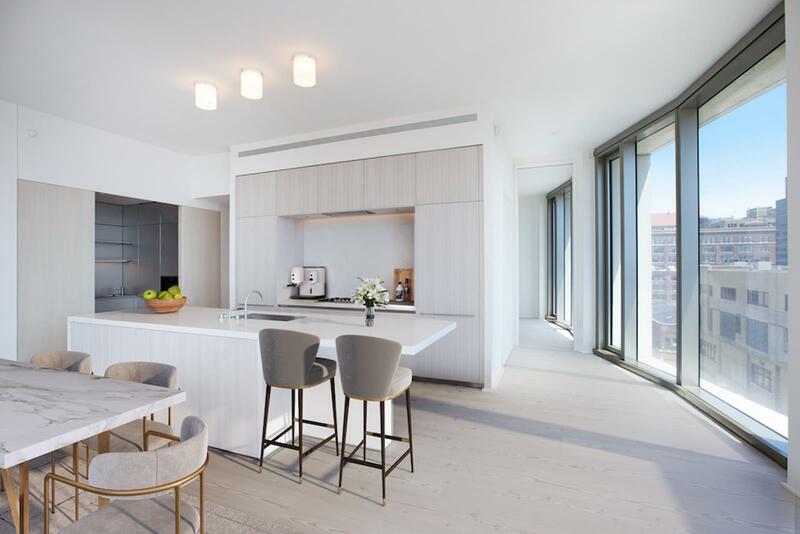 An incomparable Great Room on the waterfront flows gracefully into the dining room and social Eat-in Kitchen by Bulthaup with Scandinavian Larch wood cabinets and hand selected Sivec marble slab countertops and backsplash will please any discerning chef. All the appliances are fully integrated including a Sub-Zero refrigerator, Wolf oven, Gaggenau cooktop and Miele dishwasher. The Kitchen is complemented by a professional enclosed Chef's Kitchen; a modern, rethought European-style larder for everyday use complete with a Sub-Zero freezer and wine refrigerator, Wolf steam oven, microwave oven and integrated Wolf coffee/espresso machine. 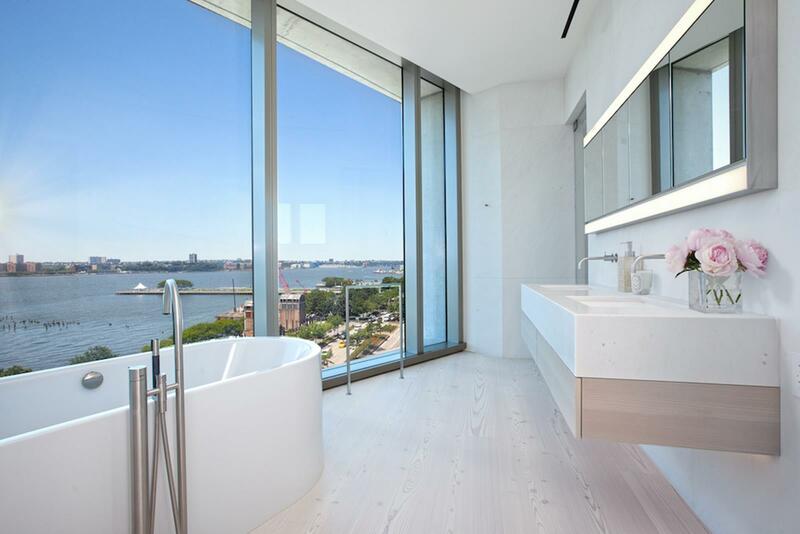 The gracious Master Bedroom suite has open west views, oversized dressing area, and a lavish spa master bath with a deep Kaldewei soaking tub, radiant heated floors, double Sivec marble vanity, large stall shower, and spacious water closet, all clad in slabs of pure Sivec marble. The additional bedrooms have custom en-suite bathrooms with either handpicked travertine stone walls or Sivec marble mosaic tilled walls, and custom vanities with integrated Corian sinks. A tranquil powder room is clad in floor to ceiling Scandinavian larch wood and has a custom floating Sivec marble vanity. 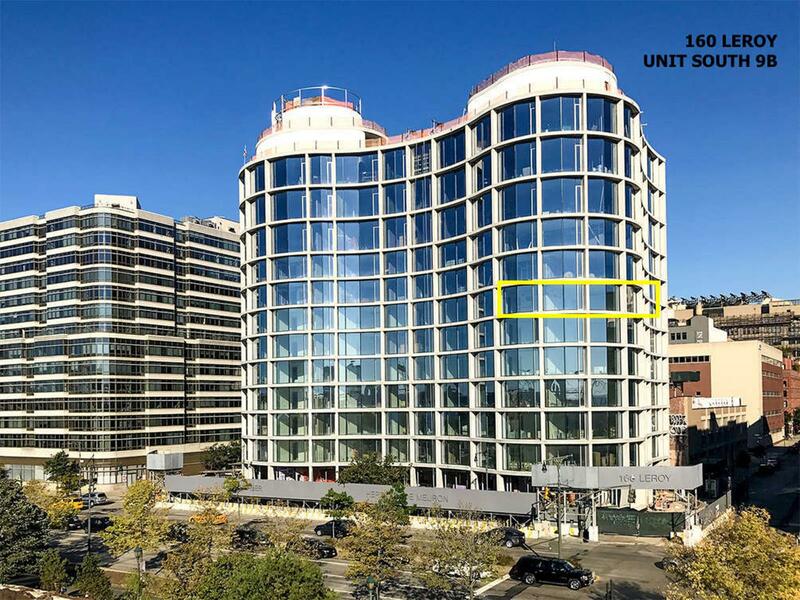 DETAILS: 11' floor-to-ceiling windows; 12 inch wide-plank imported Scandinavian Larch wood floors throughout; Motorized shades; Triple custom pane curtain wall with UVB/UVA protected glass; Large capacity Washer/Dryer; Private Parking & Storage Space. BUILDING AMENITIES & SERVICES: Private Courtyard & Garden by landscape designer Madison Cox; Full-time concierge, 24-hour doorman and porter; Onsite resident manager; 70' pool and whirlpool spa with floor-to-ceiling glass; State-of-the-art Fitness Center featuring cardio and strength training equipment; Yoga and Pilates studio ideal for personal training sessions; Steam room and sauna with changing rooms; Fully equipped private massage room; Recreation lounge area complete with a kitchen suitable for private events; Kids' clubhouse ideal for birthday parties Gourmet take-out and delivery restaurant; Private Parking & Storage; Easily accessible bike storage; Refrigerated storage available for residence deliveries; Laundry room with oversized washers and vented dryers.